23.11.2015. 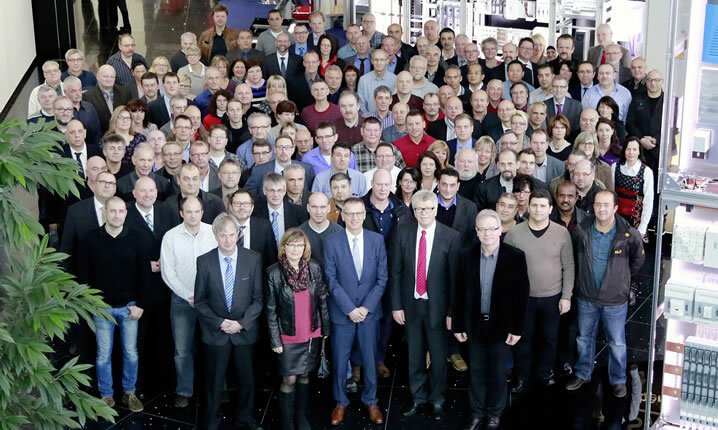 Two-hundred and thirty-seven employees who had reached personal milestones in their working lives were honoured at this year’s traditional acknowledgement ceremony, held at the Rittal’s headquarters on Stützelberg, Herborn. A lot has happened in the last 40 years: The Friedhelm Loh Group has grown in Germany and internationally, new markets have been opened up and new products developed. All this not only links these longserving employees closely to their workplace, but also to their employer. When we celebrate years and decades, it is always a good time occasion to look back on developments and successes. The 237 longserving employees were taken on a journey through time from a rewarding past to an Page 2 exciting future for the family business: “Forty years ago, we had roughly as many employees in total as the number of staff who are now celebrating their anniversaries”, Friedhelm Loh said. Three of them have been with us all that time: Friedhelm Sauerwald, Michael Schlosser and Elfi Beurenmeister were there when Rittal started on its road to growth. Three new foreign subsidiaries were founded in 1975 alone. And hopefully, that growth will continue. 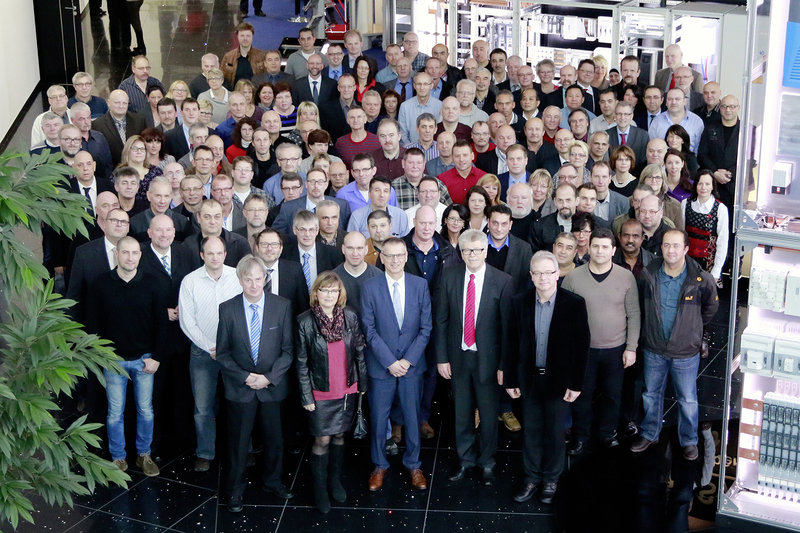 Today, Rittal has 58 subsidiaries. 1990, the historic year of German reunification, Rittal’s business was marked by new technologies: Back then, within a mere six months, we developed the first cooling unit for enclosures . We are now the largest manufacturer of such cooling units in the world”, Mr. Loh added. The same year, Rittal opened its first overseas production centre, in the growth market of the United States. LKH, (now Stahlo), founded in the 1980s and meanwhile an integral part of the corporate group, acquired its first industrial robot: “We now know that in the future, robots will help us decide how we will live and work. This development began 25 years ago.” That year, 179 employees began work in the group, experiencing these developments at first hand. Staff celebrating ten years of service were well able to remember their early days during a year dominated by IT, education and training. RiMatrix, Rittal’s complete data centre solution, was a great success. And Eplan, the software house for virtual planning in engineering, found itself the centre of growth: “Today, software – the intelligence in the factory – opens up many doors for us, all over the world", Mr. Loh pointed out. In 2005, the group's own training facility, the Loh Academy, was founded: “Progress can only grow from knowledge and skills. That’s why we launched this very special facility.” Now, between 1500 and 2500 employees receive training in seminars and workshops every year, acquiring valuable expertise that has advanced the group. Since 2005, it has also been benefiting the new subsidiaries in China and India. 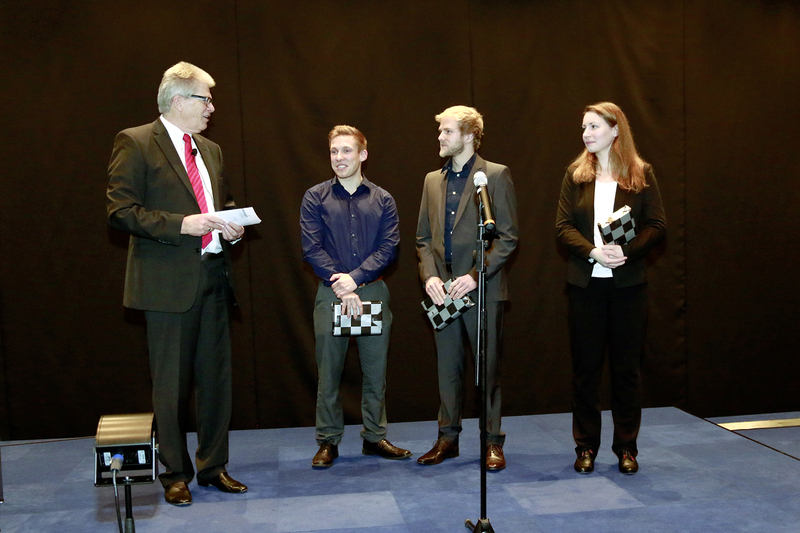 Friedhelm Loh also used the celebration to pay tribute to the three best trainees. Franziska Ines Hain, Christian Droß and Etienne Erbe completed this year’s training with top marks. “We have super trainees”, said Friedhelm Loh, praising the three new recruits, two of whom already want to study on the “StudiumPlus” course and so attain further qualifications. Image 1: Friedhelm Loh honoured 237 employees for their long years of service to the Friedhelm Loh Group at the traditional anniversary ceremony. Three employees have been at the company for 40 years (1st row, from the left): Friedhelm Sauerwald (left), Elfi Beurenmeister (2nd from left) and Michael Schlosser (3rd from left) were delighted at recognition by owner and CEO Friedhelm Loh (2nd from right). 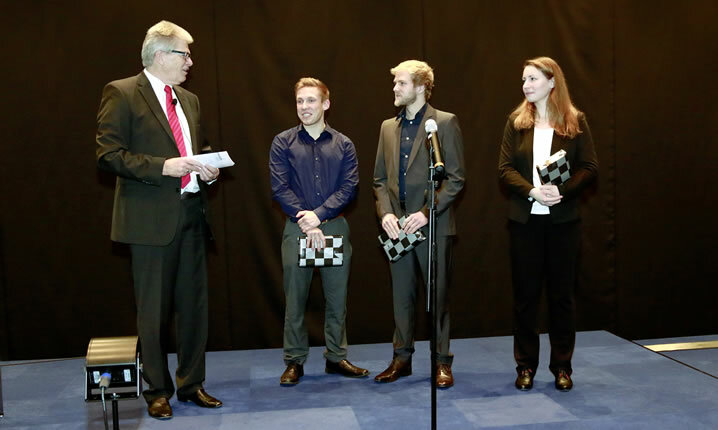 Image 2: Friedhelm Loh (left) honoured the three best trainees of their year for their top marks in the final exams: Franziska Ines Hain (right), Etienne Erbe (2nd from right) and Christian Droß (3rd from right).